I hope everyone is staying warm and healthy this winter. We enjoyed welcoming our newest alumni, who make up the 10th cohort of our Second Degree Accelerated Program (see article), their commencement ceremony in February. Many have already accepted positions to begin their new career path. I enjoyed meeting many of them during their ATI NCLEX review, and it was fun to hear the various areas of nursing they have chosen to pursue. Another bright spot we enjoyed was learning that our founders, the Sisters of the Holy Cross, were recently awarded the Civil War Campaign Medal in recognition of their order’s service during the American Civil War from 1861—1865. At that time, although the Sisters had no training as nurses, they answered the call to tend sick and wounded soldiers aboard the USS Red Rover along the Ohio and Mississippi rivers and at a hospital in Illinois. We know you join us in congratulating the Sisters! On The Road: We Are Arizona Bound! Attention all alumni who live — or are visiting — in the Tucson or Phoenix areas and environs! One of our “On The Road” visits will take place in early March, and Dr. Wynd and Debbie would love to see you and hear your Mount Carmel memories! If you have not already heard about the visit, the College may not have your current contact information. For more details on the scheduled events during their visit, please contact Debbie Boggs (’75), RN, director, Alumni Relations at 614.234.5681 or alumnioffice@mccn.edu. Read more: On The Road: We Are Arizona Bound! And, get ready to mark it soon: The Alumni Relations office will host another After Hours at Marshall’s this spring – watch your email and the website for more information. And, our past Buckeye Tailgates have been so much fun, we’ll do it again this fall – stay tuned for date, time and location. The cold, winter days brightened on February 3 with the graduation of our 10th cohort of the Second Degree Accelerated Program. These 59 students are now our newest alumni and ready to begin their nursing careers. Read more: Congratulations to Our Newest Alumni! Save the Date for Homecoming 2017! On Saturday, October 21, old friends will gather to reminisce about the incredible fun that was had while working incredibly hard on classes and clinicals during student days at “The Mount.” Honor classes recognized this year are those with a graduation year ending in a seven or a two. Read more: Save the Date for Homecoming 2017! Your Alumni Association and the office of Alumni Relations are collaborating on plans for a 10-year reunion for the nearly 600 Second Degree Accelerated Program graduates who have become alumni since the inception of SDAP in 2007. If you’re an SDAP graduate, we want your input on the event, so please watch your email for a survey coming soon. As noted in our last issue of AlumNews, MCCN has been enhancing the security requirements for all Nightingmail (mccn.edu) accounts. If you did not enroll in the 2-Step Verification process in December of last year, your MCCN account was disabled. 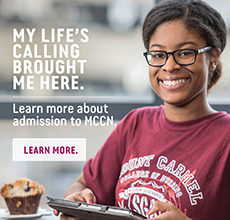 To regain access and enable 2-Step Verification, please contact MCCN IT at HelpLine@mccn.edu immediately. 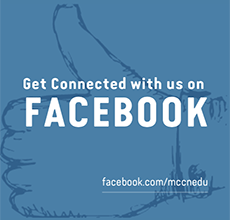 If you prefer to use a different email address instead of your MCCN email, please allow us to stay in touch by send your email address to alumnioffice@mccn.edu to continue receiving information.